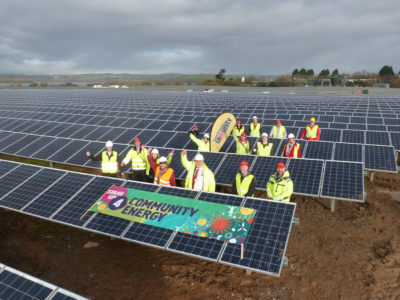 The community energy sector in the UK is going from strength to strength. 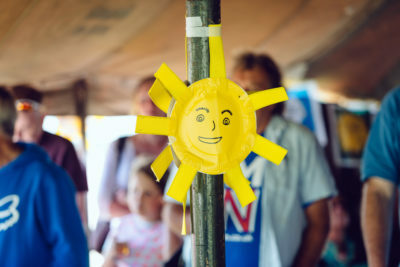 It took some hard knocks from Government last autumn, seeing severe cuts to subsidy for community solar, removal of tax relief to investors and planning changes to block deployment of onshore wind. Despite all this, the largely voluntary-driven sector has moved quickly to explore new business and finance models and to test how new technologies can retain more value locally from existing and future schemes. The sector has been busy getting to grips with energy storage, renewable heat and breaking down the barriers to selling energy locally whilst we share our learning nationally and find new ways to support each other. And that’s the point – we may be motivated by cutting carbon, but a major driving force is the desire to take back control of services we all rely on and see the money we spend on them retained for the benefit of the local economy. We want to see everyone, and especially the most vulnerable, protected from prohibitively high bills and, ultimately – the cold. We think that owning and controlling the means to generate and supply energy locally is the best way to make this happen. Here at Plymouth Energy Community our work towards a shift in the energy system can be understood in two main strands – fuel poverty services which tackle the energy problems people face today, and community renewables projects which pave the way for a fairer, greener energy future. 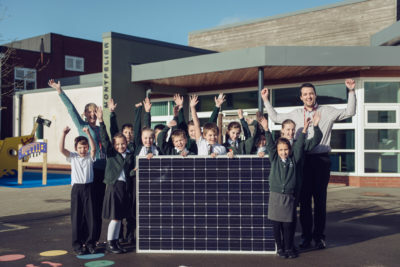 We’ve had a lot of success: we’ve built 33 solar installations on school and community building roofs, we’ve recently plugged in a 4.1MW solar farm on derelict land and we’re about to launch our fourth significant fuel poverty service – a 4 year, £460K Big Lottery funded programme to engage, empower and support disabled people around home energy. We launched in 2013. It’s been exciting. It really has – we’ve tripled in size, engaged with over 11,000 residents, won multiple awards, raised £1.2M in community shares, cleared nearly £200K in fuel debt, been successfully awarded significant grants and built local and national partnerships. We’re doing some cutting-edge work in the sector and we’ve got loads of new stuff in the pipeline. In our corner of the UK, we’re making an impact. But there are major hurdles en route to the energy future that we, and so many others, are working for. The work we do in vulnerable households is central to delivering our mission and as such, we analyse the data we collect and identify drivers and impacts of fuel poverty so that we can find new ways to address them. Our frontline teams have become acutely aware of the impacts on vulnerable customers when things go wrong between them and their energy supplier. And let’s face it: we’ve all been messed about by an energy supplier – it just isn’t life or death for all of us. I’ll be explicit about the scale of the problem: over half of the people we do casework with (over 300 households to date) have experienced their supplier getting it wrong. And when I say ‘getting it wrong’ – what I’m talking about is a catalogue of failures; ranging from wildly inaccurate bills to shocking misinformation regarding consumer rights to threats made to elderly and disabled people. I’m talking about illegal break-ins to install pre-payment meters, blatant ignoring of people’s needs, keeping no record of previous calls, refusal to log complaints and, ultimately, hundreds (although probably more like hundreds of thousands, millions even) of households being driven into debt or sitting in cold houses afraid to use heat and power for fear of debt. If it sounds like I’m frustrated, it’s because I am. We all are. Our frontline teams set out to empower people to engage with home energy, to help themselves, but day after day we speak to people who are trying their level best, in difficult circumstances, while suppliers block their every effort to stay on top of things. The team want to spend their time upskilling people around using energy efficiently and making their home cosier, but instead spend hours on the phone to call centres, repeating again and again that ‘no, this isn’t the first time we’ve reported this’ and ‘yes, you do need to look again at this bill’. It’s boring, and it’s the major barrier to people staying out of debt and maintaining a healthy home environment. In the short term, we want to see energy suppliers brought into line by Ofgem. The rules exist and should be enforced, and we’re petitioning Ofgem to do this. But this can’t stop here because what we’re seeing is not just bad companies, it’s a broken system which is failing to serve those who need it most – a system which we need to challenge and ultimately to change. And this is what brings together the two main strands of our work, where meeting people’s day-to-day energy needs becomes dependent on the work we do to create a fairer, greener energy system for the future. The Competition and Markets Authority released the results of its energy market investigation in June. The main thing we learned from this is that top down approaches are not representing the needs of ordinary people for a fair energy system. The report proposes a handful of useful tweaks to the status quo – which Ofgem have just announced they will implement in due course – but fails to reflect on, or challenge, the systemic problems which continue to see the most vulnerable households getting the worst deal when paying for a product which is, let’s face it, homogenous (there is no ‘deluxe’ electric or gas supply). Fuel poverty and energy supply will always exist within a wider context, but local solutions which grow and insulate initiatives from the whims of national (and international) policy and markets are beginning to gain momentum. Community-led businesses offer the potential for local groups to step away from reliance on subsidies or grants and build trading businesses which drive income to the services their communities need. So if we needed a stronger mandate for local community energy groups to keep doing what they’re doing – this is it.